There is theory and there is practice. Book smart and street smart. Resume guides and resume examples. And although the two best work together, you don’t always need the theory to come up with good practical results. In fact, pure imitation can take you quite far. Especially when you know where to look. This applies to resume writing too. Sure, you can spend hours reading theory on how to write a resume. Or you can take a shortcut and see how other people write their resumes. A single example is often worth a thousand words! Pretty easy. 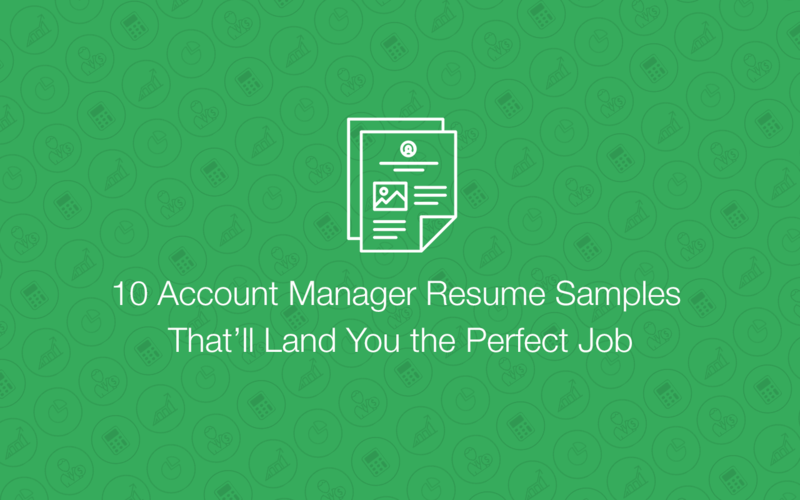 That is, if you can get your hands on any decent resume examples. After all, you don’t want to follow a resume from 20 years ago, written for a third-rate company. No, if you have to follow, you should follow the example of one of the resumes below. 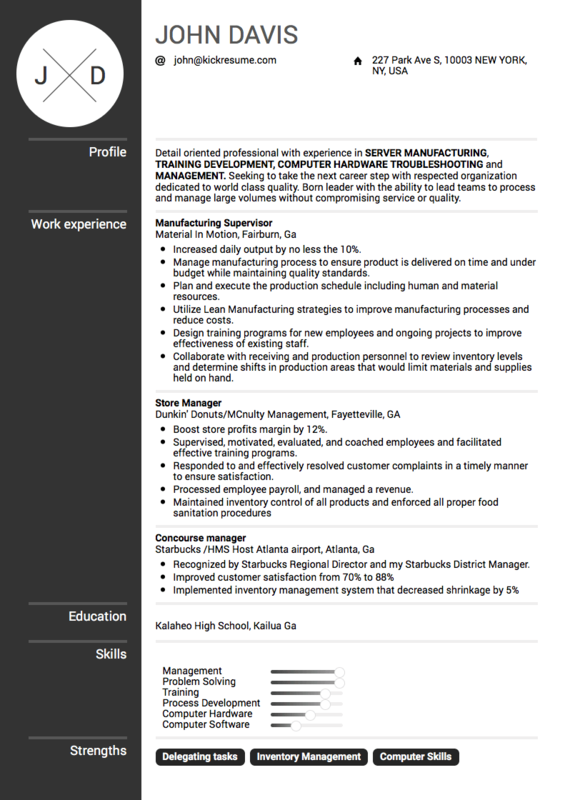 We bring you 10 resume examples by people who got hired by the world’s top companies. Google receives over 1 million resumes per year. No wonder that they’ve become famous for their demanding interview process. But let’s take a look at John’s resume below. 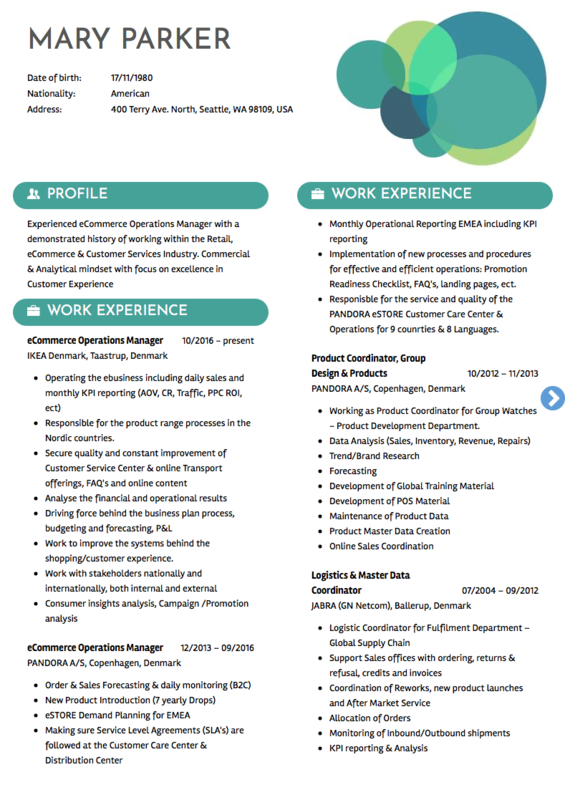 First, notice how it uses the Profile section to emphasize 3 relevant keywords for the position. They’re all in caps and bold. Second, the bullet points make it read well and structure its contents. Third, John quantified most of his accomplishments. When he improves customer satisfaction, it’s by 18%, not just by “a lot”. Be like John. Notice the length of this resume. 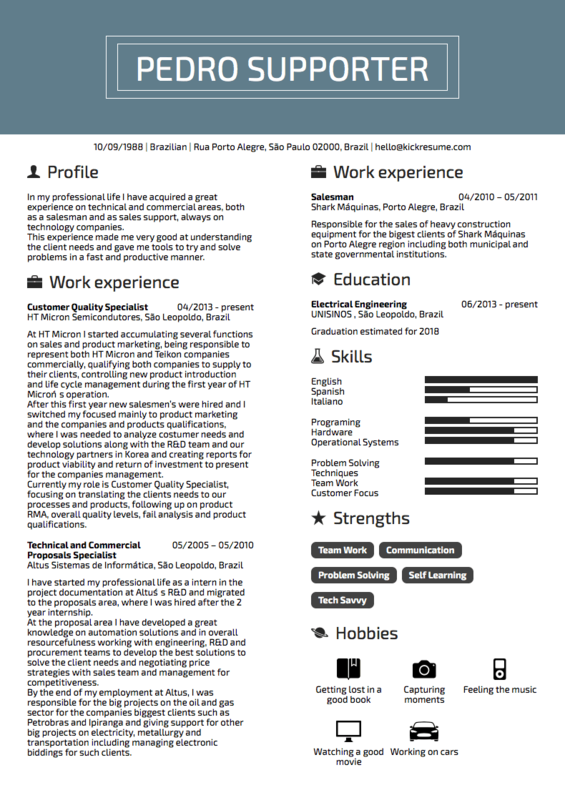 Although a resume should rarely exceed 1 page in length, Boby Eduram was right to make his resume 3 pages long. First, when applying for a job in academia, you’re expected to provide an exhaustive account of your previous professional experiences. Second, he was applying for a senior role. It’s easy to justify a 3 page resume when you have over 30 years of experience in the field. This resume is an excellent all-rounder. It could benefit from minor tweaks here and there but in general it serves its purpose well. Pack with keywords, clearly structured, and contains little to no irrelevant fluff. In combination with a sleek design, it passes the 6 seconds test with no effort. We keep saying it again and again—never underestimate the power of past tense! 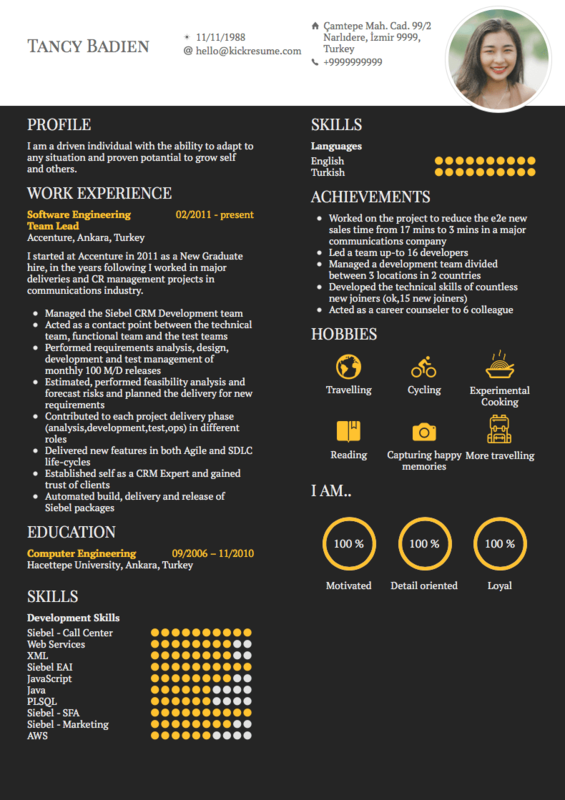 Finally a resume example that does it consistently. Hanie Jobs (which is a made-up name, of course) understood that hiring managers don’t care about your responsibilities. They want to know what did you do with them. Telling someone about that thing you did is infinitely more impressive than telling them about that thing you were supposed to do. 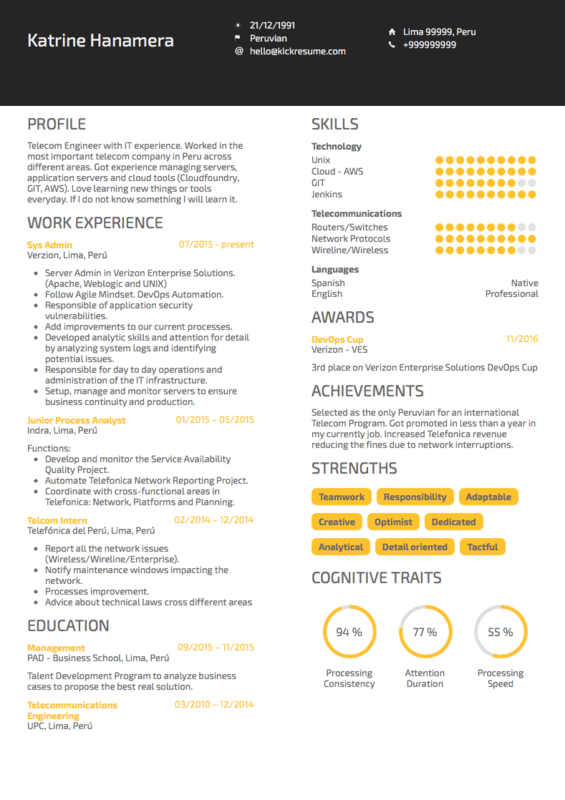 This resume struggled to fill a single page. And it still managed to score an interview with some of the best global consulting companies in the world. How? We believe it was the personality it exudes. Notice how it uses the “I”. Once you begin your resume with it, its well-nigh impossible not to tell your story. And ultimately, that’s at least as important as your hard skills. 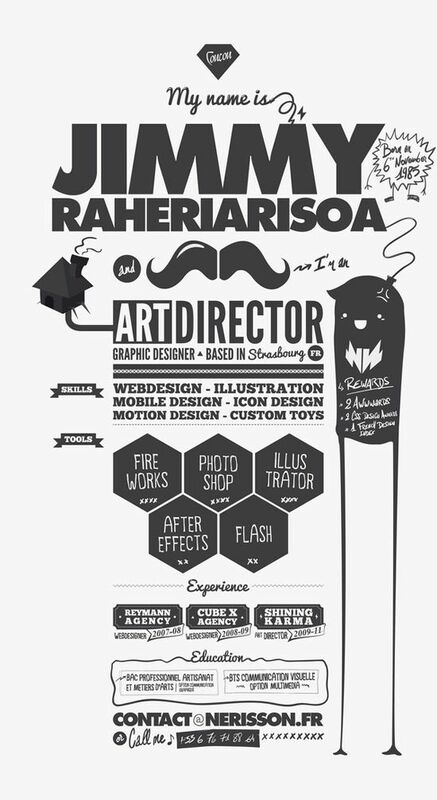 This resume example is exceptional in the way it integrates content and design. Being exactly one page long, it doesn’t leave much of the page unused. Moreover, it makes a great use of visual elements to emphasize important keywords. Finally, all of its elements work great in unison, providing the hiring manager with a great reading experience. One of those resume examples that embody what a resume really stands for. That is, it offers a brief and targeted account of your past experiences. Compared to other resume examples that often get too wordy or overly elaborate, Mr Ghostly’s resume remains uncompromisingly efficient. A great example of how much can be achieved with a resume that deliberately does only the necessary minimum. This resume example has one of the best resume objectives we’ve ever seen (and we hate resume objective 90% of the time). It’s personable, straight to the point yet passionate, and everything else it should be. 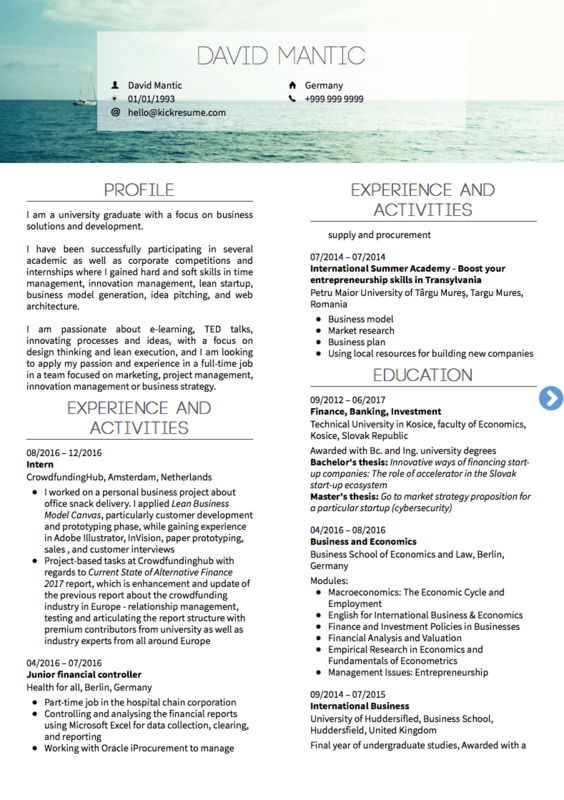 The rest of the resume is equally impressive, especially its second page. Click the picture below for an excellent example of how you should list your achievements on a resume. Pedro Supporter showed us that sometimes it’s okay to ditch bullet points in favor of a full-blown narrative. 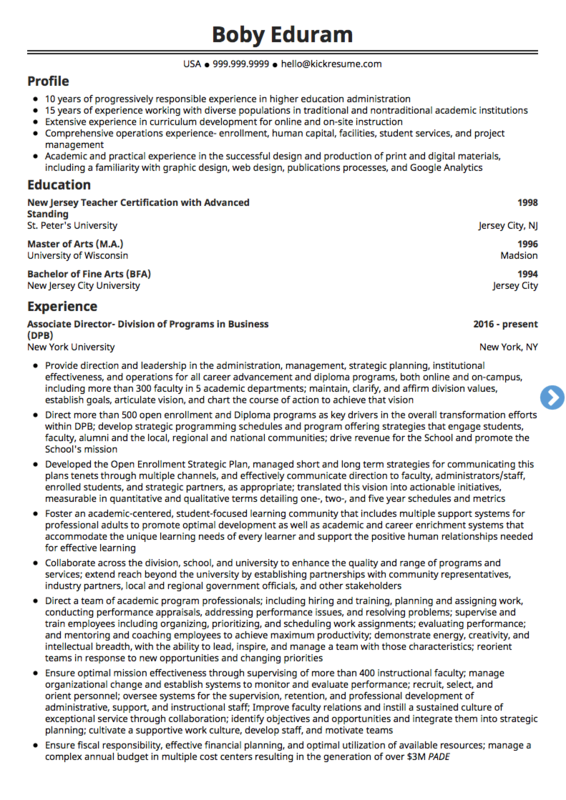 Sure, this resume example would look cleaner if it used bullets but, he did score the job, right? The secret to Pedro’s first-person resume might be that it absorbs you in a story. And then it tells you everything you need to know to hire him. 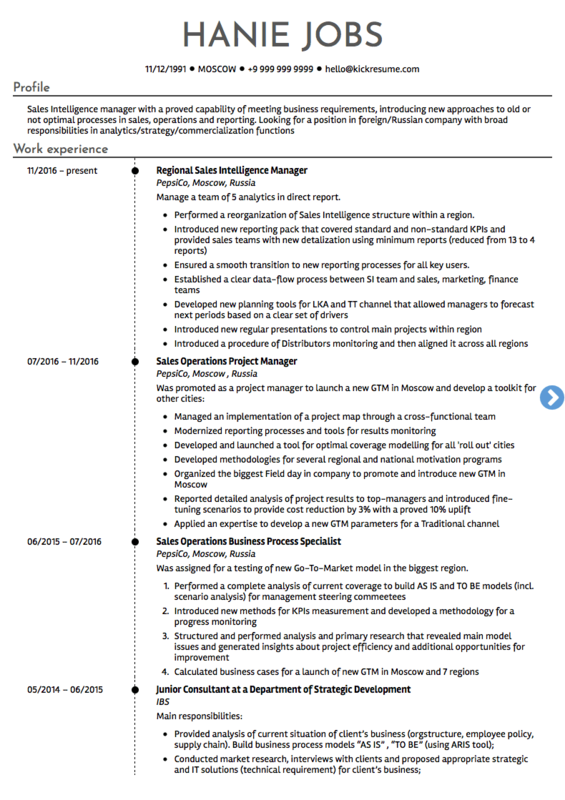 Our last resume example ties together most of the points we’ve made about previous resumes. 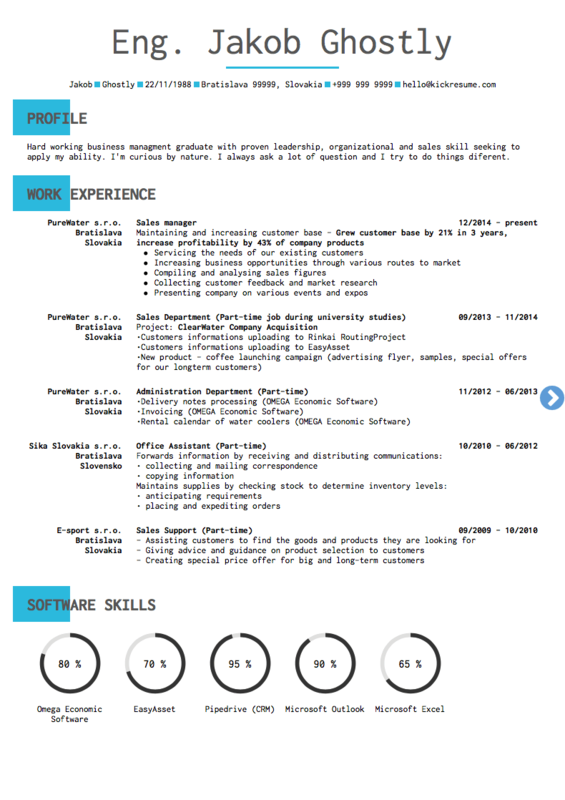 Great resume summary, clear structure, numerous bullet points, use of past tense, captivating design and others. All of them make this resume an excellent example of how a simple career document can get your foot in the door. Even at Adidas.